The sketch above shows the position of the spinnaker and pole when set on both port and starboard tack, and the four blocks needed for this system. 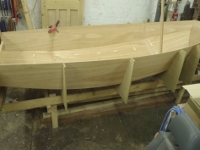 Blocks 1 & 4 are located 300 - 450mm from the transom on the inside of the inner gunwales as shown in the photo above. I don't think the exact distance makes much difference. Having the blocks further forward may help stop the sheet going over the top of the boom when the sail is flapping. Having them too far forward will pull the spinnaker leech down on a reach. A cheek block such as the Ronstan 20151A shown in this photo works well. Blocks 2 & 3 are located by the shroud attachment points. Some owners attach them to the shroud plate fittings as in the photo above. 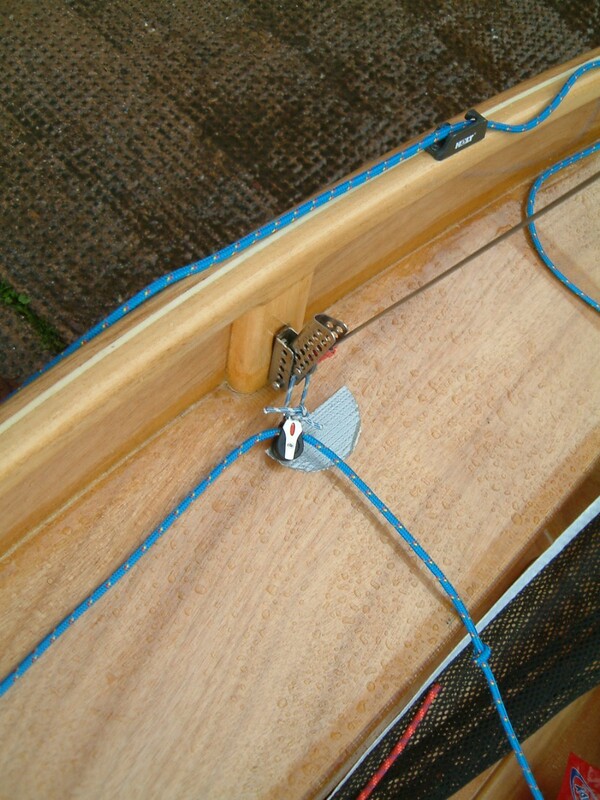 Another approach is to bend a lacing eye (deck clip) and attach them to the shroud blocks. 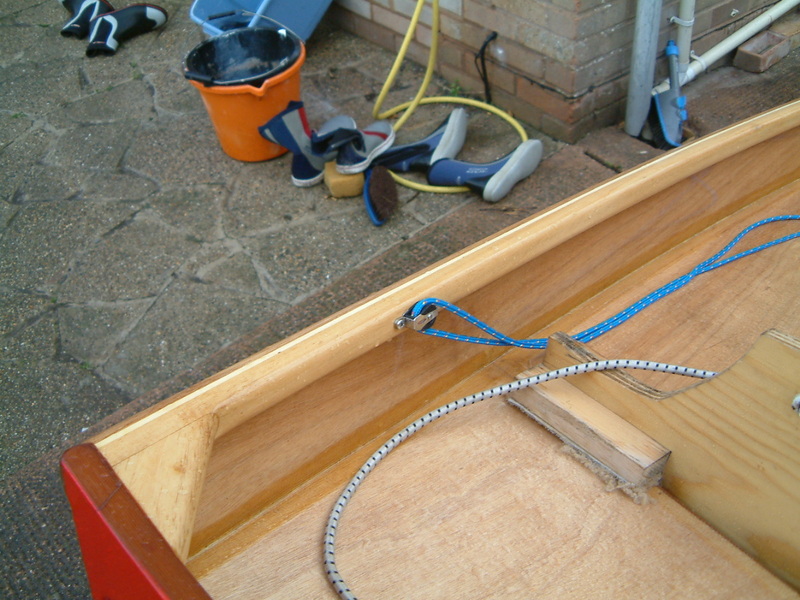 This boat also has a jamb cleat fitted so the crew can cleat the sheet if they need to. Some owners like to use a small ratchet block for these forward turning blocks. Forward of the shrouds, the exact distance is not that important, but I suggest about 300mm, you need to fit a reaching hook and cleat which will hold the guy (the section of the spinnaker sheet going to the clew of the spinnaker where the pole is) in position. 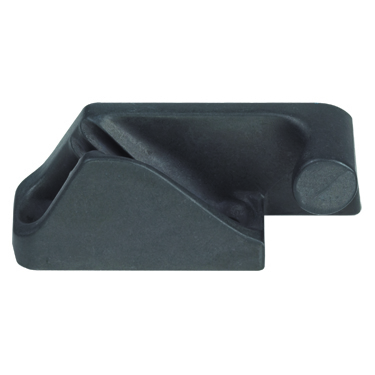 Clamcleats with open sides work well and are almost universally used as reaching hooks on Mirrors. 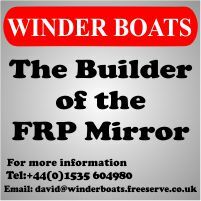 The closed side needs to be inboard, as in the photo of "Fairground Attraction" above, so you need a handed pair - one CL217MK2AN Mk2 Side Entry (Starboard) cleat fitted on the starboard side and one CL218MK2AN Mk2 Side Entry (Port) cleat fitted on the port side. 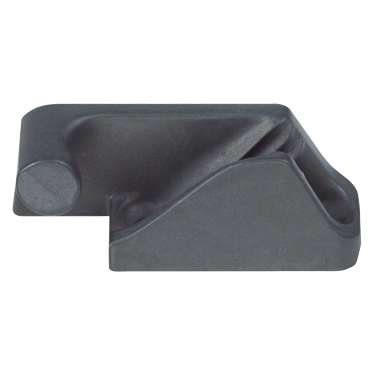 The AN on the part number indicates a hard anodised (black) finish which is best, espically for use in salt water. They are also available with silver finish in which case the part numbers are CL217MK2 & CL218MK2. 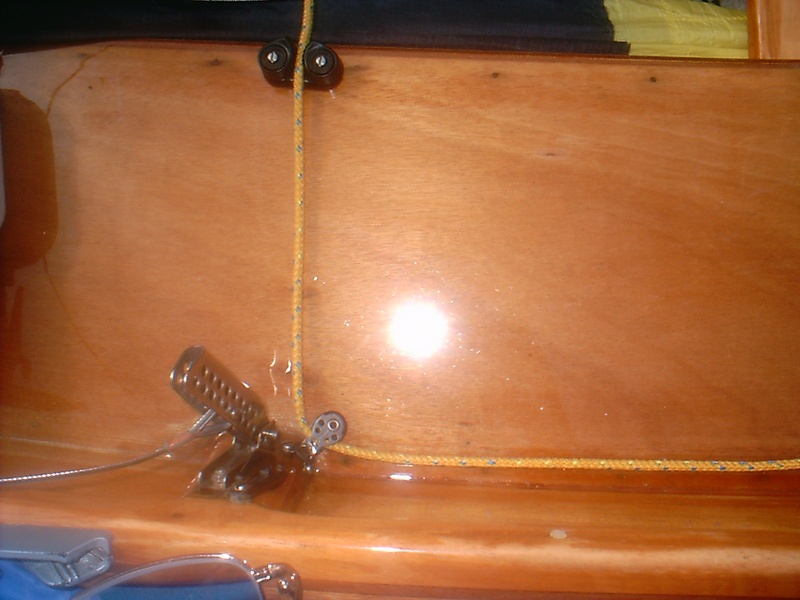 Notice the knot in sheet in the photo of "Fairgound Attraction" above, there should be one knot on each side between the forward turning blocks and positioned to make sure the pole when fully deployed cannot quite touch the forestay.